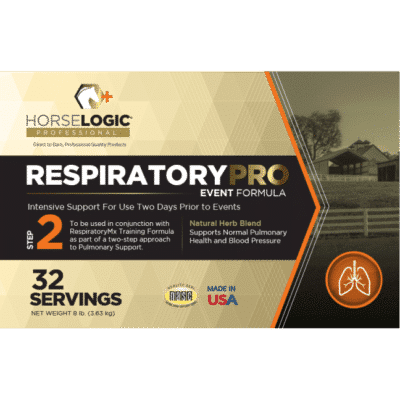 Intensive pulmonary support for horses who give it everything they’ve got. 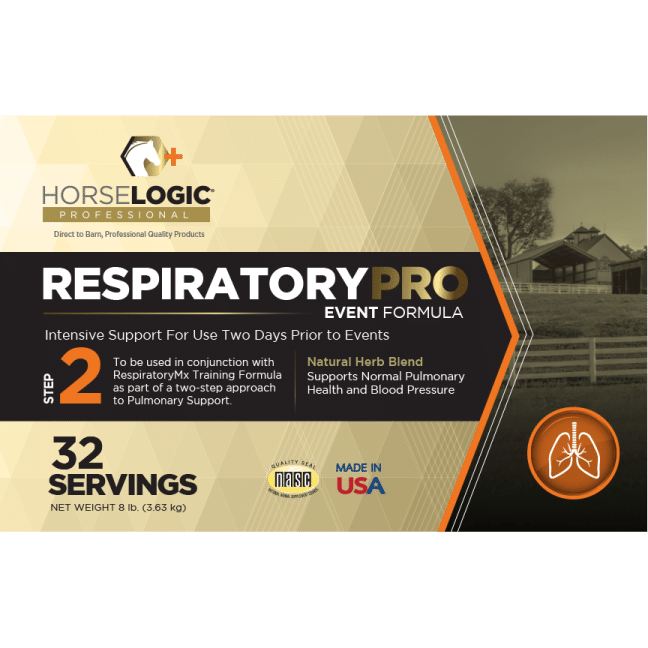 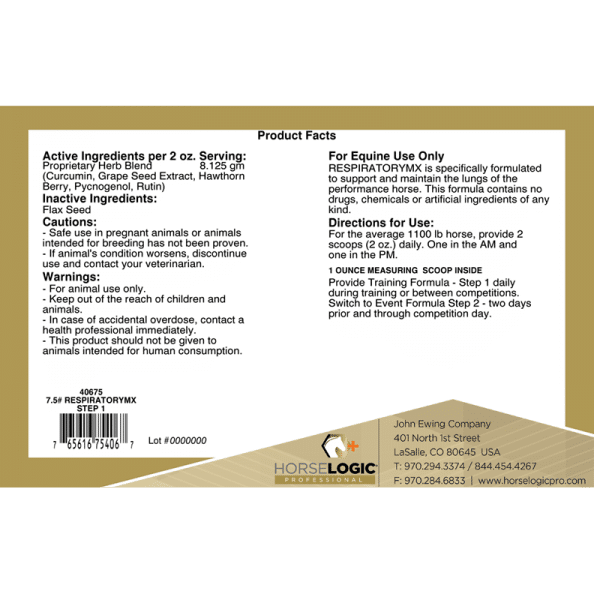 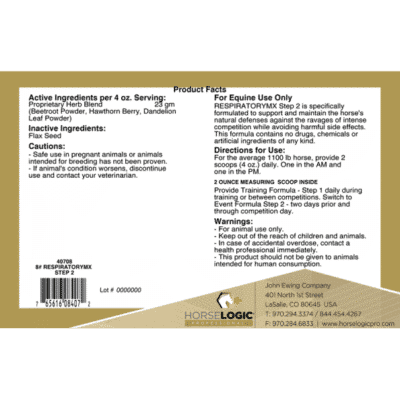 RespiratoryPRO Training and RespiratoryPRO Event are specifically developed to support and maintain your horse’s natural defenses against the ravages of intense competition, while avoiding harmful side effects. These products contain no drugs, chemicals or artificial ingredients or any kind. 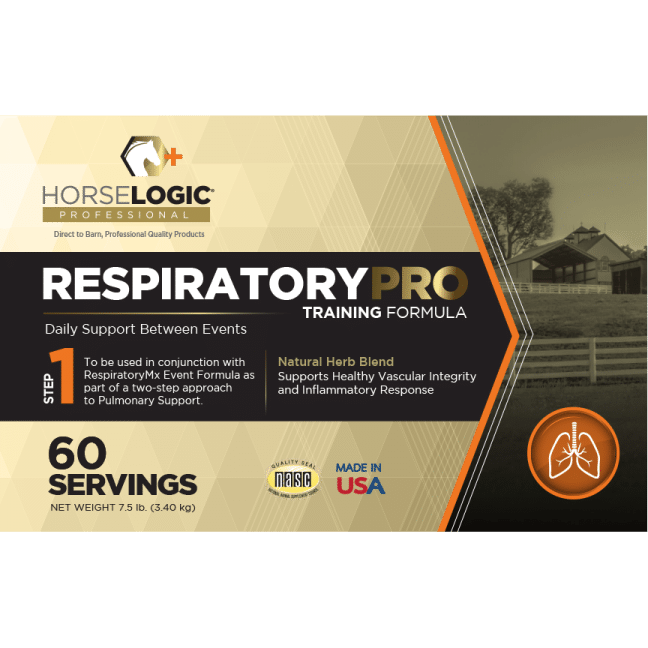 Use both formulas to support normal lung function and integrity.